This Kiwi fitness presenter reveals all about her motivation, being a flying ninja and her avocado addiction. I love following fellow fitness professionals as I find it’s a great way to stay across all the latest and different types of training. I enjoy following Kaisafit on the gram, she’s pretty creative, and really fit. Her workouts are diverse and fun, which is my style. I think she would be pretty cool to train with! Anything that gets my heart rate up – I love going hard and getting a good sweat on. 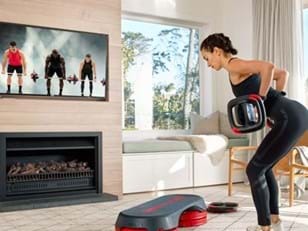 Right now LES MILLS GRIT or any style of HIIT is my preference. But in saying that I enjoy mixing it up and making sure I get the different benefits that come from different workout styles. I’m a 90/10 percent girl every day! I love Lindt dark chocolate so will snack on that throughout the day. If I feel like having fun, pizza or pasta would be my go to, or something savoury with pastry! Music is my go to, anything and everything for all moods. Whether I’m feeling stressed, worried or happy I pick a banging tune and crank it loud! I am an active relaxer so on my days off I’m all about the activities – movies, markets, lunch dates with the girls, shopping, exploring … and usually the gym… haha. I’m not naturally tall with a fast metabolism so I have to work really hard to maintain the physique I have. I am currently working to cut my body fat percentage slightly and building more tone in my legs. Don’t get me wrong, I’m happy with my physique, but having goals just keeps it real and keeps me in a state of ‘the next’. And I often remind myself that being short does have benefits – especially when it comes to long distance traveling! Name the last book you read, the last movie you watched, and track you currently have on high rotate. I’ve recently read the Raven Shadow series by Anthony Ryan and the last thing I watched was Vikings Season 4. When it comes to music I listen to everything – it’s a huge part of my job. My top two genres are electronica and hip hop. What social media can’t you live without? I’m most active on the gram, I’m a visual person so I like the concept of pictures and short captions. Ninja (does that count?) or to fly… Perhaps a flying ninja! Haha. Boosting the ‘happy’ chemicals. Endorphins will de-stress, relax, motivate, improve self-confidence and leave you overall feeling really good! Erin Maw is a New Zealand fitness professional who lives in Auckland. She teaches everything from BODYATTACK™, BODYBALANCE™/BODYFLOW® BODYCOMBAT™ and CXWORX™ classes to the dance programs BODYJAM™ and SH’BAM™ and LES MILLS GRIT workouts. 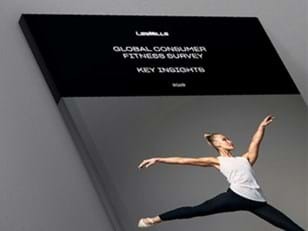 She plays a key role in Les Mills’ music design process and frequently presents Les Mills’ newest workout releases.